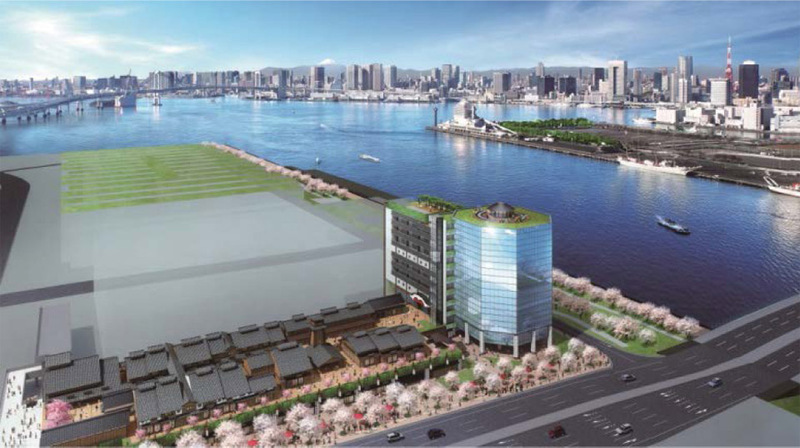 The operator of a planned onsen, hotel and retail center to be built next-door to the Toyosu Fish Market in Tokyo has announced that they may withdraw their plans due to concerns about feasibility. The proposed ‘Senkaku-banrai’ center would include a 24hr hot spring bath, hotel and 200 restaurants and stores, with a forecast for 1.9 million annual visitors. 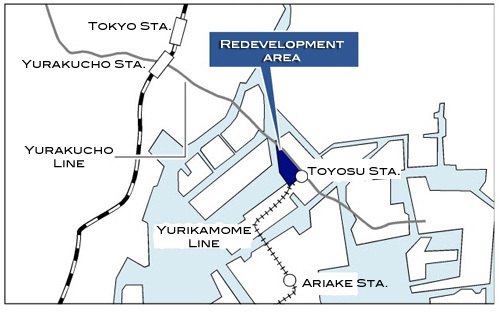 Although completion is not expected until August 2014, 630 of the 1,110 apartments in Skyz Tower & Garden in Toyosu have already sold. 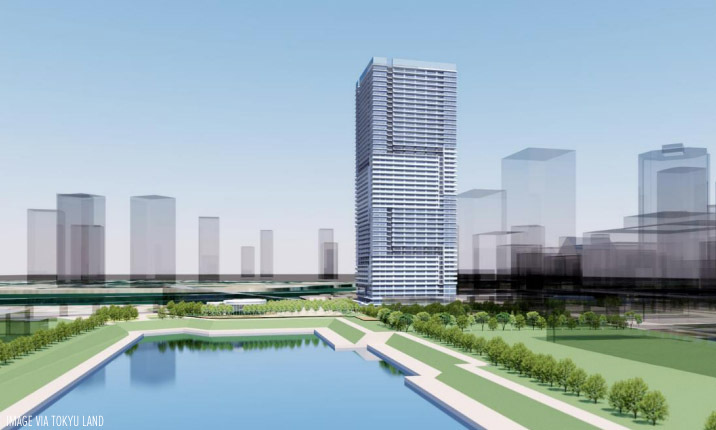 With the total number of new apartments released for sale in May up 50% from last year, and a contract rate of 78.1% in greater Tokyo, there are strong expectations that Abenomics will lead to increased property values. Major banks increased their 10 year fixed mortgage rates for the second month in a row. With rising interest rates and an expectation of rising real estate prices, buyers are feeling added pressure to purchase. Normally the summer season is a slow one for apartment sales, but with an expected increase in consumption tax next year the last minute rush from buyers is expected to continue throughout the summer. However, the recent correction in the stock market at the end of May might have cast some doubt over the chance of a prolonged recovery in apartment sales. 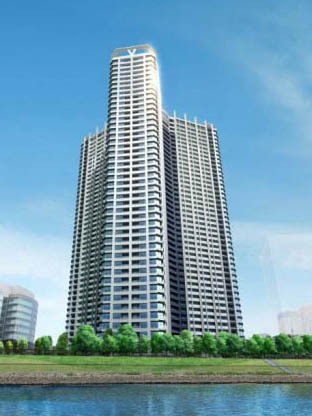 One new condominium that could be a barometer of market conditions is Skyz Tower & Garden in Toyosu, Koto-ku.